Hyundai introduced its new i20 based WRC race car for the 2014 season during a special event in Frankfurt. And for the same occasion, the South Korean auto maker announced the birth of a new "N" performance lineup which means that we will have more performance oriented version of models like the Veloster, Genesis and even the i20. The "N" performance headquarters will be based in Alzenau, Frankfurt, same location as the WRC team. More details in the press release after the jump. 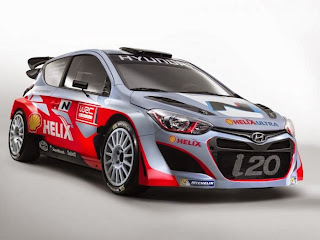 December 10, 2013 - Hyundai Motorsport has unveiled its full team line-up at a special launch event in Frankfurt today, as the manufacturer gears up for its debut in the 2014 FIA World Rally Championship at Monte Carlo next month. The launch event was held at the home of Hyundai Motor Europe in Offenbach, just a short drive from Hyundai Motorsport’s facility in Alzenau, where final preparations are taking place for the team’s rally debut in just over one month. Over 150 journalists and guests attended the event to see the newly liveried Hyundai i20 WRC and team on display. 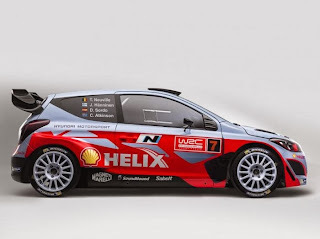 Thierry Neuville made his first public appearance in Hyundai Motorsport colours as the team’s lead driver, while Juho Hänninen, who will drive the second i20 WRC at selected events, was also present. It was also announced that both Dani Sordo and Chris Atkinson will partner Neuville at several events during the season, with Sordo running on Rallye Monte-Carlo and Atkinson confirmed for Rally Australia. 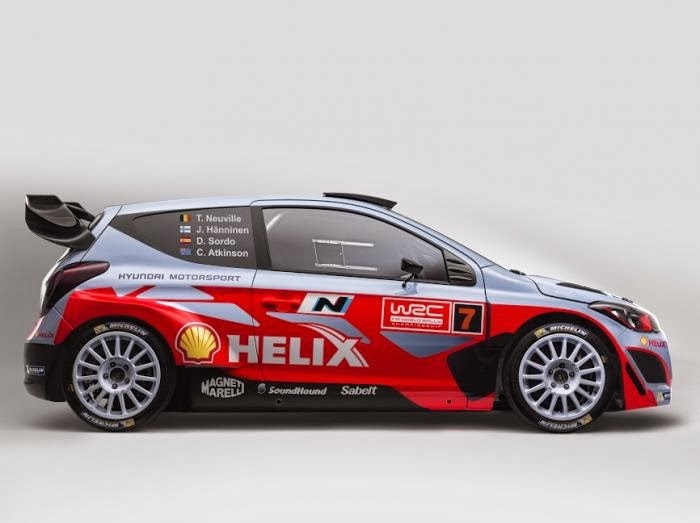 Hyundai Motor Company also used the occasion of its WRC launch to announce that Hyundai “N” will be used to symbolise Hyundai’s high performance technology on both the i20 WRC car and future mass-produced high performance cars. Linked directly to the company’s renewed involvement in WRC, “N” brings together Hyundai Motor’s technology and innovation with the learning from motorsport to provide a new experience for customers. Representing the company’s passion for high performance, “N” takes inspiration in both name and spirit from the Namyang R&D Centre that has collaborated with Hyundai Motorsport on the development of the i20 WRC. The Namyang R&D Centre is at the heart of the technological innovation and development that serves as the driving force behind Hyundai’s growth as a global brand. The Hyundai WRC team has come a long way since the first iteration of the i20 WRC car made an appearance at the Paris Motor Show in September 2012. Hyundai Motorsport has developed from scratch into a fully functioning motorsport team, defying the odds to build, test and prepare two rally cars ready to compete in 2014. With more than 90 staff from 18 nationalities, made up of motorsport specialists and experienced Hyundai personnel, the team represents the perfect mix of Hyundai and motorsport ideals. In just over one month’s time, Hyundai Motorsport is set to add a new dimension to the FIA World Rally Championship by competing in its debut event of 2014. The company has already shown what can be accomplished in a short space of time with the right mentality and approach. For the Hyundai Shell World Rally Team, January cannot come soon enough.